At Griffith, we are committed to helping international students make the most of their time in Australia by providing quality education, guidance and support. With more than 200 degrees and a reputation for research and teaching excellence, Griffith continues to be a leading university of choice. South East Queensland’s beautiful climate and iconic landmarks, along with our reputation and world-class rankings, are just some of the many reasons international students choose to come to Griffith. 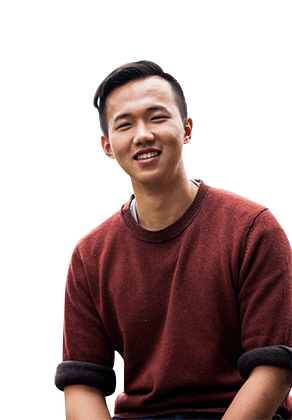 We offer a generous range of scholarships to support remarkable international students coming to study in our undergraduate, postgraduate, research and pathway programs. What are you eligible to study? No matter what your experience or English level is, we have a range of options to help you succeed. As well as our undergraduate, postgraduate and research degrees, we also offer English language courses and academic pathway options. Griffith is ranked among the top 2% of universities worldwide. Our reputation for research and teaching excellence, along with our strong ties to industry, make us one of the leading providers of higher education in the Asia–Pacific. 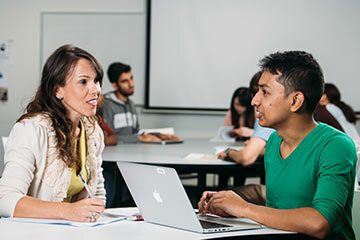 Griffith’s campuses offer a unique and thriving community, with plenty of student support services available aimed at enriching both your university and off-campus experience. Whether you are studying at Griffith University or Griffith English Language Institute, we have some useful tips to help you prepare for your life in Australia and at Griffith. From dedicated courses to free one-on-one tutoring sessions, there is an English program to help you achieve your individual goals and ambitions. Griffith International comprises a number of units, ranging from the Griffith English Language Institute through to Griffith Global Mobility. 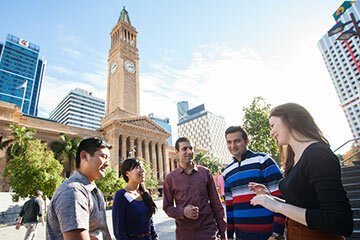 As well looking after the recruitment, admission and on-campus experience of international students, our staff coordinate and promote international experiences for Griffith students, facilitate institutional agreements, host delegations and run capacity-building programs for overseas governments and partners. The Griffith English Language Institute has provided internationally recognised English language programs for more than 20 years, with a focus on preparing students for admission into Griffith University programs. Our International Business Development Unit provides specialised project management services, engages with academic staff to bid for international projects and develops business opportunities working with international aid organisations, government and education institutions. The Tourism Confucius Institute offers a range of education and community engagement programs, develops tourism links between China and the Brisbane – Gold Coast region and focuses on developing cultural knowledge and understanding among local tourism providers.